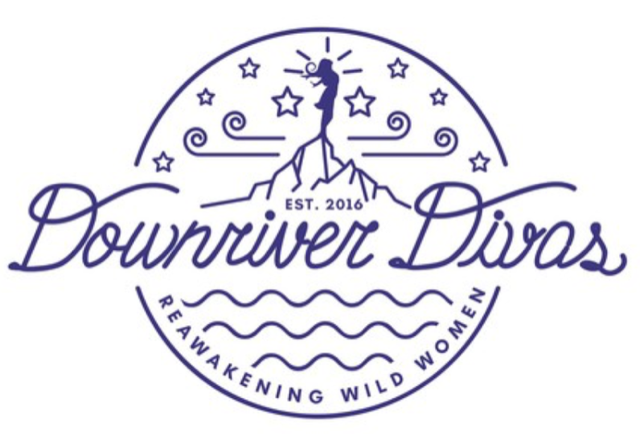 Multi-day river trips provide the perfect backdrop to bring women in-tune with their feminine power, rediscover their creative wisdom and celebrate all aspects of sisterhood. The retreats are a positive interruption to everyday routines, set in an environment that allows participants to attune to nature, laugh wildly with a group of women and enact positive change in their lives. Guests return to their lives with a new community of support and friendship. Each retreat provides an all-female team of experienced raft guides, who know the river intimately. Divas (guests) will enjoy gourmet dining experiences in wildly scenic settings, comfortable camping with all of the amenities and opportunities for reflection and celebration. All activities are facilitated by a Downriver Divas team including: nationally recognized executive coaches, breath work specialists, experienced yoga and sensual dance teachers, as well as a retreat photographer. River trips guide women to realign to the pace of the natural world. When we take time to attune to the flow of a river, we become aware of its pace and rhythm. On our retreats we are intimately connected to the river; floating its waters, camping on its banks and practicing yoga on golden beaches. Attuning to the flow of the river helps women re-connect to their inner-compass and intuition. The river also teaches women to experience inner-beauty through the reflections of nature. Women are radiant on our retreats because they let go of societal expectations of how they should look and feel. On the river, we don’t need a mirror to feel beautiful — it’s reflected in the natural wonders around us. The most important lesson women take away from the river is how good it feels to laugh freely and openly in camaraderie with our Tribe!